HTC has made it clear that the One will be joined by multiple devices over the course of this year, as the company pushes back into the mid-range market. 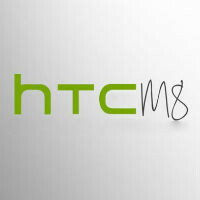 It is starting to look as though the next device on the way could possibly be the rumored HTC One (M8) Ace, which has just seen its first leaked image come out. Although, the image mixes Mr Blurry with a possible promo image to leave us with more questions than answers.